Vychutnejte si vitalitu s nápojem Ramissio Revitalize. Spojuje v sobě účinky aloe vera s kusy dužiny, agáve a acai. Vyvážená kombinace obsažených látek působí pozitivně na vnitřní orgány, především na celý zažívací trakt. Balení 1 000 ml. Ramissio Revitalize is a drink that combines the effects of several rare plants – aloe vera with pieces of pulp, agave and acai. The balanced combination of these ingredients has a beneficial effect on the body’s internal organs, particularly the entire digestive tract. Contains specific polysaccharides, enzymes and vitamins, which help to naturally detoxify and cleanse the body. This makes it ideal for reduction diets. The moisturizing, anti-cellulite and protective effects of Aloe Vera Barbadensis Miller contained in this drink help to keep skin youthful and fresh, alleviate problems with acne, aphtha, hives, and other dermatological disorders. Its anti-inflammatory effects are appreciated by many, particularly those suffering from digestive problems. Regular use helps to boost the body’s immunity and improve its overall conditions. Aloe Barbadensis Miller has been used in healing and cosmetics for centuries. It has many beneficial effects on the body and skin. Aloe Barbadensis Miller contains vitamins A, C, E, folic acid, choline, vitamins B1, B2, B3 (niacin), B6 and is also one of the few plants to contain vitamin B12; it also contains more than 20 minerals and is rich in amino acids. Amino acids are the building blocks of proteins, and healthy tissue and big muscles would not be possible without them. In the human body there are around 22 known amino acids, 8 of which are essential. This means that our body cannot produce them itself. 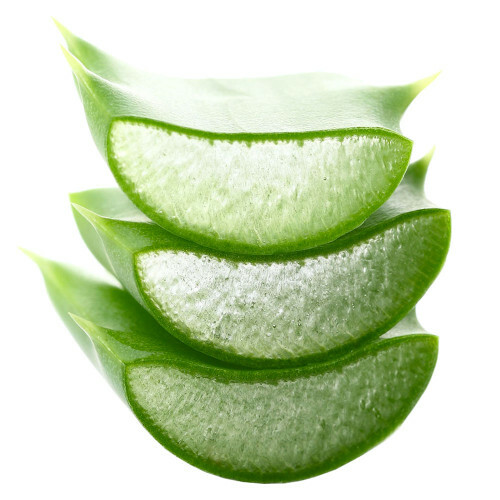 Although it might seem unbelievable, Aloe contains some 18 to 20 amino acids and all 8 essential amino acids. Aloe vera also contains fatty acids, which our heart, brain and tissue need to functional healthily. Moreover, it is rich in plant sterols, lupeol, beta sitosterol and campesterol. These are substances that have powerful anti-inflammatory effects and help prevent high cholesterol. This makes them very effective in preventing cardiovascular diseases. They also help to alleviate the symptoms of allergies, heartburn and the reflux of gastric juices into the oesophagus. In addition to this, Aloe Vera cleans and soothes the digestive tract and helps to remedy indigestion. It also helps with diarrhoea and constipation. Last but not least, it helps to restore the microflora in the intestines, particularly by eliminating unwanted bacteria. 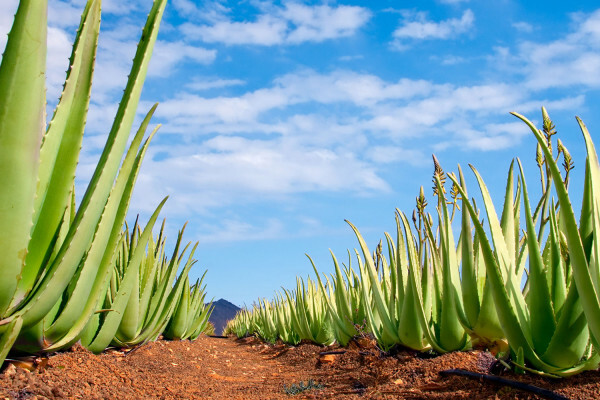 More and more attention is being given to parasites in our intestines, and aloe can help us get rid of them – it is an effective antiparasitic. 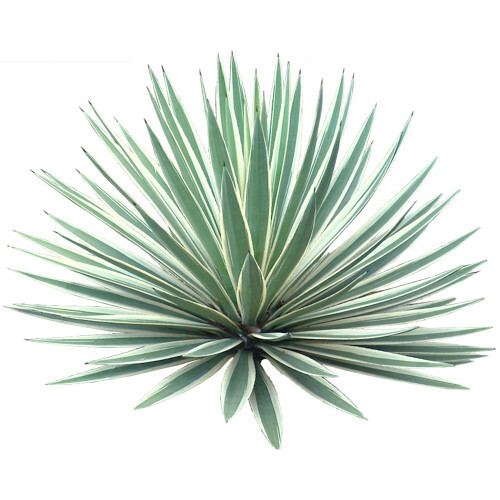 Agave is a plant which has become so sweetly popular due to its low glycaemic index. In simple terms, this expresses the speed at which the carbohydrates contained in the food we eat is transformed into glucose in the digestive tract, which then enters the bloodstream. I we eat food with a high glycaemic index, we get hungry again very quickly after the meal and often have a craving for something sweet. We then mostly eat foods that are not healthy and cause our body to accumulate fat. 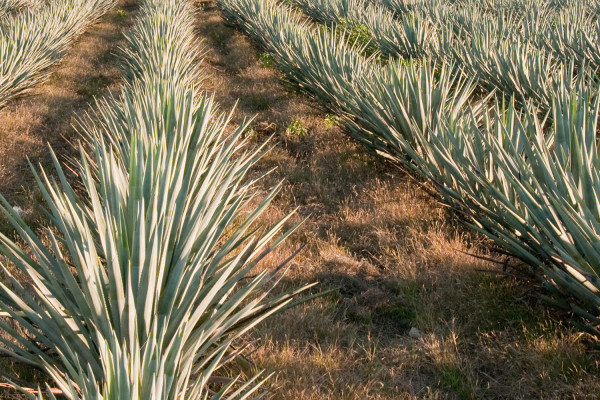 The agave contained in our Ramissio Revitalize can help in such cases. It contains the fibre inulin, which has a number of highly beneficial properties. As it has little effect on our blood sugar, it suppresses the appetite. This not only helps us to lose weight, but it is also a suitable supplement for diabetics and people with related illnesses. In addition, agave contains saponins and other ingredients found in the roots of many other plants, including ginger, for example. These have anti-inflammatory and antimicrobial effects and stimulate the immune system. In the Brazilian region of Belem do Para there once lived a large Indian tribe, which suffered a shortage of food. Many of its members starved almost every day. Itaki, the chief of the Tupa tribe, thought long about how to resolve this problem. He decided to take cruel measures – to sacrifice all the children born in the village so that the tribe would not die out. That very day his daughter IACA gave birth to a beautiful baby girl, who they had to sacrifice. The young mother became desperate. Every evening she wept inconsolably and prayed to the gods to open her father’s eyes. One evening she heard an Indian child crying and ran outside. She saw her dead daughter, standing by a palm tree. However, the child vanished like smoke in the wind. IACA then hugged the trunk of the palm for a long time, and with joy in her eyes she looked at the dark fruits growing at the top. The chief then had the palm fruits harvested and a red wine made from them, which they called ACAI (IACA in reverse), in honour of his daughter. From then on the Indians also ate the berries, which fed the entire tribe. There were no more child sacrifices. 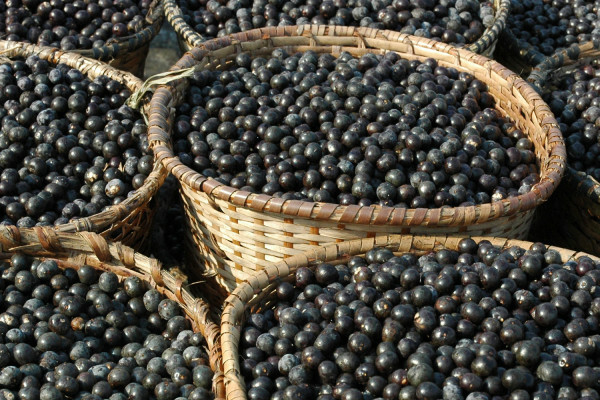 Acai, the fruit of a palm from the Brazilian rainforest, yielding a delicious juice with an irresistible purple colour. This distant relative of the blueberry or raspberry has been investigated by many scientists during the last few decades. They have found that the plant has more antioxidants than any other known type of fruit, helping to protect our cells against the destructive effects of free radicals. It also contains a lot of glycoproteins, proteins, fibre and essential omega 3, 6 and 9 fatty acids. 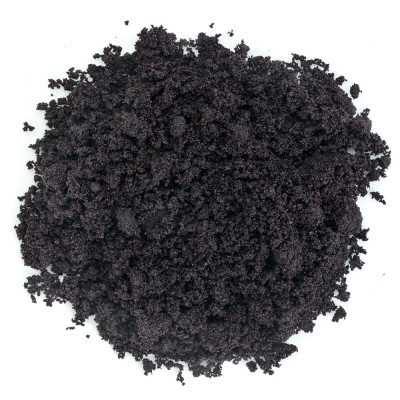 Like Goji, Acai is considered to be one of the healthiest foods on our planet. It should therefore be part of the diet of anyone who is seeking a natural way to prevent diseases of civilization, as well as excessively fast ageing of the skin. Acai grows in bunches like grapes on palm trees in the Brazilian region of Paraná and the Amazon rainforest, predominantly in the floodplain regions alongside rivers, where it forms large groves. The local inhabitants call it the fruit of the gods. After all, the palm tree on which it grows belongs to a genus named after one of the Muses in Greek mythology – Euterpe. This was undoubtedly not just due to the beauty of the palm tree, but also for the amazing effect Acai has on health. 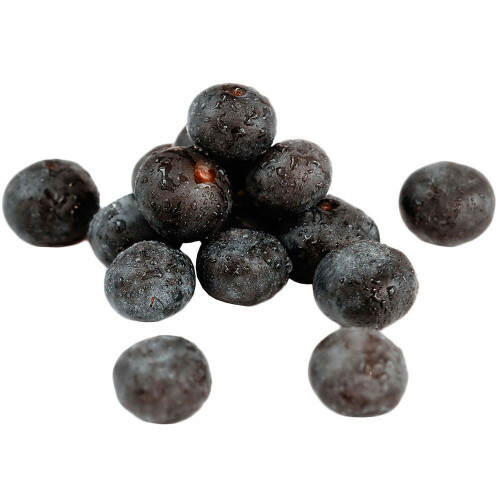 Its appearance and colour are reminiscent of our blueberries, while the flavour is a mix of forest fruits and chocolate. Ramissio Revitalize strengthens the body’s natural immunity, helps to keep the skin in optimal condition and alleviates tension and fatigue. This exotically-flavoured cocktail is also an excellent aid to healthy weight-loss, as, besides other ingredients, it contains vitamins B6 and B12, which help to maintain a healthy energy metabolism. The calcium contained in aloe helps to keep the digestive enzymes working as normal. Ramissio Revitalize is a suitable supplement to a gluten-free diet.